Once I saw how well the Beauty Junkees brush applied foundation, I knew I had to have it. So I ordered the Angled Kabuki brush from Amazon.com and received my brush within a two days via Amazon Prime (best thing since sliced bread). After hearing how much I liked it, my mom asked me to order one for her. Then, my mom asked me to order one for my aunt. Then, my aunt asked me to order one for my cousin. Then, my mom asked me to order one for other aunt. 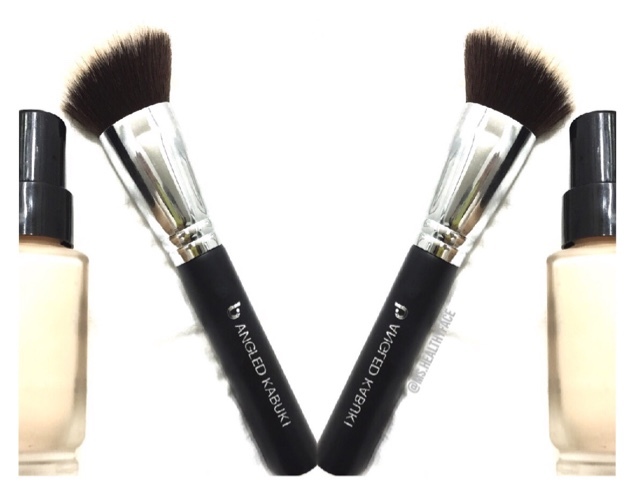 In the mean time, my BMFF/cousin/enabler, ordered the Angled Kabuki and loved it so much she ordered more brushes. Needless to say, there is suddenly a whole mess of Vietnamese women currently obsessed with Beauty Junkees. The matte black handle feels stable and has some weight while not being too heavy. It is a kabuki brush, but the handle isn't really too short at all. For me, it is the perfect everyday size, and I enjoy how it fits perfectly in my brush roll for travel. Also, the handle has the brush type imprinted on it, which I find helpful. The end of the bristles are usually white. Here, my are a little tinted from using it with my Bobbi Brown foundation. I love how the bristles are sooooo soft and dense. The pricepoint is so good for this quality!! The brush I ordered is the rounded kabuki, but they also have a flat one, too, that's more comparable to the Sigma F80. Although this is meant to be a blush brush, the dense soft bristles make it versatile for foundation and contour application as well. 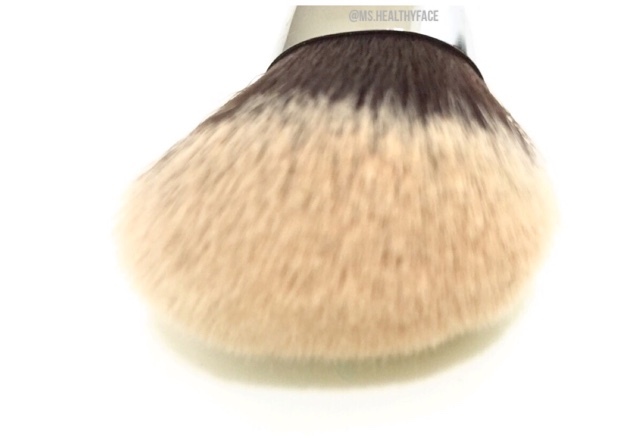 I prefer to use this brush to apply my foundation because the rounded edges make it easy to blend around my nose and around my jawline. I love how this brush makes achieving that flawless, airbrushed look so easy. Even my mom's has told me her application looks better blended. I definitely want to try the rest that Beauty Junkees has to offer. Beauty Junkees also believes in the importance of customer service and offers a 100% money back guarantee on all of their products, no questions asked. So, if you do not like the brush(es), you can return it! I love that. I return beauty products all the time at Target and CVS, and it is great than an online retailer can offer the same.